United Airlines will change its policy on how it transports pets after a 10-month-old French Bulldog died when it was stashed in the overhead bin. Nearly 50 dog breeds and four cat breeds will be banned from travelling in cargo, 'out of concern for higher-adverse health risks'. In a statement released by United on Tuesday, the airline announced it 'will implement several new policies and customer requirements for pet air transportation to improve the safety of the travel experience'. 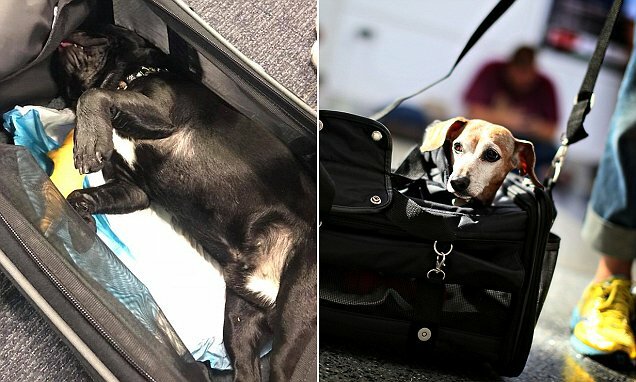 Any pet that is not an approved breed of dog or cat will also be prohibited from travelling in the cargo hold, so would need to be able to fit into a cabin-approved container to fly. The airline has partnered with American Humane to ensure the way animals are transported is safe and kind. Many of the other new changes are weather-related and focused on not exposing pets to extreme heat.